For us… this is day one… and will actually be several days through the 30 Day Cut the Crap Challenge. It is going to encompass more than one day, for us, because we… like you may be… a bit lazy. We have plenty of crap to fill bags around our house to occupy several days over the next month to simply walk around the house and… fill… it… up. 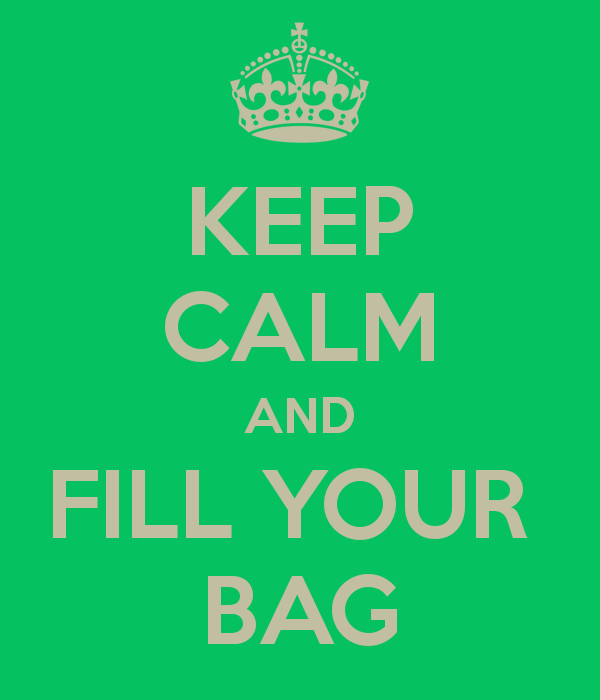 Filling Your Bag is easy. It may take 5 minutes… 15 minutes… or 50 minutes. Doesn’t matter. It’s up to you. Gather up a bagful of things that you used to ‘love’ or ‘use’… but no longer do. It may be things that you can hand off as hand-me-downs to someone in your family or work with. All you have to do is walk around your house or garage, and identify things that you haven’t used in a while. And put it in your bag. Then… put it in your car… and dispose of it as necessary. While this step may be painful because of nostalgia, be honest with yourself… you… don’t… need… it. Are you ready?… Let’s do this. Grab that bag.